QMobile introduces fabulous Smartphone for its customers of Pakistan. This is such an exceptional Smartphone has launched from QMobile brand with multiple quality of features. This is little bit expensive but when customers get details about QMobile Noir E8 features so they really want for using this Smartphone. This is hand-set with touch screen and it is also giving multi-touch screen service in this launched mobile phone. It is providing Android system Lollipop and first it has introduced 24 mega pixels front camera in this hand-set. This is also very efficient Smartphone for those people who like for capturing countless selfies because it is also giving 8 mega pixel front camera facility with face detection option. All the latest technologies of Smartphone’s are available in this launched hand-set and now day’s cellular operators of Pakistan eagerly want for buying this product. It has also introduced multiple latest option and feature in this hand-set and buyers of this mobile can easily avail AMOLED capacitive touch screen and two stereo speakers after buying this Smartphone. 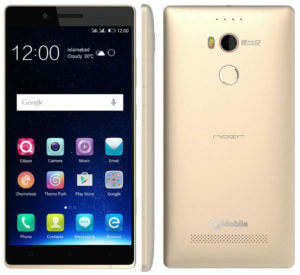 QMobile has an efficient command for launching astonishing Smart Phones for its customers and this is one finest Smartphone has produced from this reliable brand. Now you can easily enjoy extremely awesome camera and fastest processor service by using this mobile phone. The details of this hand-set and features are mentioned as below. Processor: Octa-Core Cortex-A53 2.0 GHZ. Rear Camera: 24 Mega Pixels. Front Camera: 8 Mega Pixels. Bluetooth, FM Radio, Wi-Fi, Micro USB v2.0, Hotspot direct, GPRS. Audio: MP3, MP4/H.264 player, 3.55mm audio jack. Messages: SMS, MMS, E-mail, IM. Ringtones: MP3, WAV, Downloaded, Polyphonic. Other Features: Micro SD Card supports 128GB, Multi-Touch, 16M colors, Android Lollipop. Latest Features: Face detection, Autofocus, AMOLED capacitive touch screen, Talk time 40 hours, two stereo speakers.